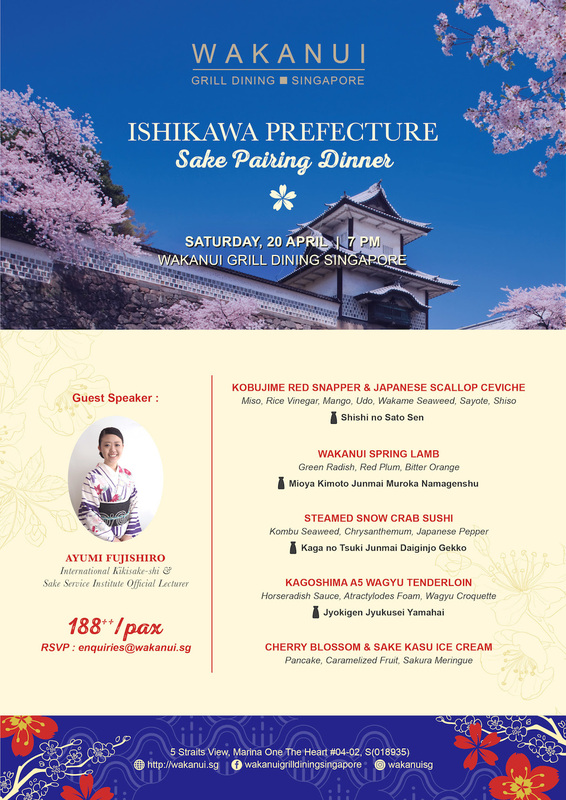 New Zealand-themed grill house Wakanui Grill Dining Singapore will be hosting an Ishikawa prefecture sake dinner on Saturday 20 April 2019 at 7pm. To celebrate this year’s sakura season, Wakanui is collaborating with Japanese purveyor Ippin for an exclusive spring-inspired five-course menu by Executive Chef Ryohei Kenyoshi. His dishes will be paired by sakes curated by Ayumi Fujishiro, an International Kikisake-shi and official lecturer at Sake Service Institute, who will on hand to present the sakes. This Ishikawa prefecture sake dinner costs $188++ per person. To RSVP, email enquiries@wakanui.sg.